The theme of the conference for 2017 was ‘Redefining Farming’ and the CLA has just published its Redefining Farming report, exploring how landowning farm businesses are adapting for the future. The speakers were industry leaders across farming, including active farmers, landowners and advisors, as well as the Rt Hon Michael Gove MP, Secretary of State for Environment, Food and Rural Affairs. The discussions were mainly centred on how to take the agricultural sector forward, embracing the changes that will inevitably arise out of Brexit, whilst endeavouring to keep the sector profitable. In today’s society, to create a really successful business farmers must look to the future and create intergenerational structures that can expand and develop as a whole, giving the business a better chance of success. 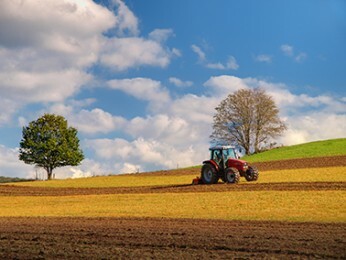 The CLA President Tim Breitmeyer advised that ‘Farmers must accept that land is not for food production alone’.As the population expands so does the need for more housing and infrastructure which will have an impact on local towns and villages, but will also decrease the amount of land available for food production. In turn this means that farmers must become more productive, in effect creating more output on a smaller land area. Profitability is key, so farmers must understand who their customers will be on the global market and work with retailers to produce a successful outcome. All in all a good message from the speakers and hopefully one that farmers will embrace as they strive to keep their family businesses in tact for future generations. Thompson Smith and Puxon has long-standing and strong relationships with the rural community in Essex and the surrounding counties. Fiona has extensive experience in the often complex law and tax rules surrounding Agriculture, including trusts, estates and inheritance. She is a member of the Agricultural Law Association and her farming background has helped her to develop an agricultural client base which she advises on estate planning and farming family succession. Fiona can be contacted on 01206 574431 or by email at fiona.ashworth@tsplegal.com.